When I went away to Cameron Highlands (about 2-3 months ago), I felt as if my opportunity to enjoy the little simple pleasures in life was finally renewed. 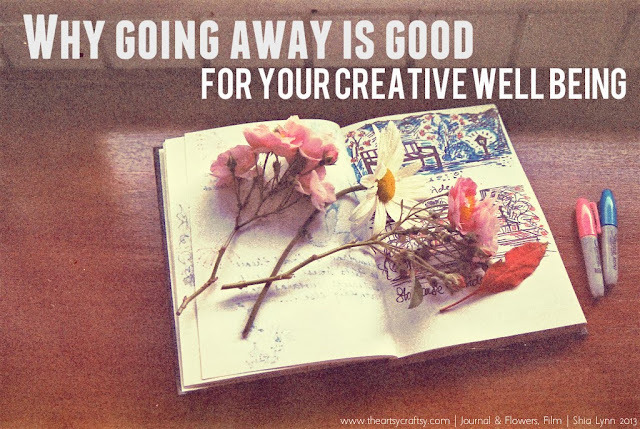 Going away on a trip, near or far, was always a way of telling myself to stay away from my electronic gadgets and for my body to kick back and take my time in doing anything I feel like doing. My love and I practically stashed our phones away. I did everything the old-school way; I did a lot of journalling, drawing everything I observed, plucked flowers and took photos with my film camera. Yes film, very old school. I took silent walks by myself in the garden. It wasn't boring at all because I was observing my surroundings, and I realized how much small interesting things if you actually take the time to notice them. Those silent walks helped me to be alone with my thoughts. And when I was walking with my love, hand in hand, we basked in the pureness of nature around us and realized that time was very still. That was when I realized, that each time we went away, time always stood still because we weren't busy worrying about rushing from one thing to another, and finishing off the day and going to sleep because we need to wake up the next day. It was also at this moment, that I realized how going away can actually benefit me in my creative well being. 1. When I was away, I was not worried about deadlines or worrying what comes next. 2. When I was away, I was not governed by time. I walked, ate and slept at my own pace. 3. When I was away, I learned to observe because my mind was not constantly thinking and worrying, and I was not busy talking away. 4. When I was away, I learned to notice the little things around me and turn them into my source of inspiration. 5. When I was away, I rekindled my relationship with nature and everything else around me, whether it is the sky, the air, the wind or the silence. I was connecting with all things natural, because I am part of nature too. I am a creation. 6. When I was away, I sat in silence, not in a rush to go anywhere, took out my journal or my camera and started being in the moment of everything beautiful. 7. When I was away, I learned to see everything with joy and slowly more and more creative ideas kicked in! I was getting ideas from my surroundings, in flowers, in people, in colours, everything! 8. When I was away, I learned to embrace the moment and learned to accept, especially when plans don't happen in your itinerary. I learned to go with the flow, as long as everyone is laughing and feeling relax, anything goes. You see, yesterday I had to go the hospital to do a blood and urine test because I was experiencing some symptoms that could either be kidney stones or appendicitis. I was going through this constant worry for a week, perhaps because I was afraid of surgery more than anything and of course, worrying about the results. With so much worrying going through my mind, finally a day before my visit to the hospital, I said to myself, whatever the result may be, it doesn't matter. Not because I don't care, but because I have accepted it. I was still a little scared, but I was accepting. Rather than pushing things away and getting upset that I was going through this problem, I embraced it and said whatever comes, I will be okay. And it made me realized too, that in everything I do in my life, it makes things harder if I push it away. If I learn to accept and embrace, things become easier, less emotional and dealing with it becomes less stressful. Anyways, I thank god so much because the results came out okay. I am okay! So you see, sometimes with all the hustle and bustle of our everyday lives, it seems so much easier to just fall into the worry-pit like everybody else. It is not wrong to worry, because sometimes worrying allow us to prepare ourselves mentally and emotionally. But a little balance would do us good, and sometimes, that vacation or a quick getaway would help us a lot in creating that balance within us. Not only will it help us in mentally, but it will certainly help us regenerate our creative ideas for a creative work and living.